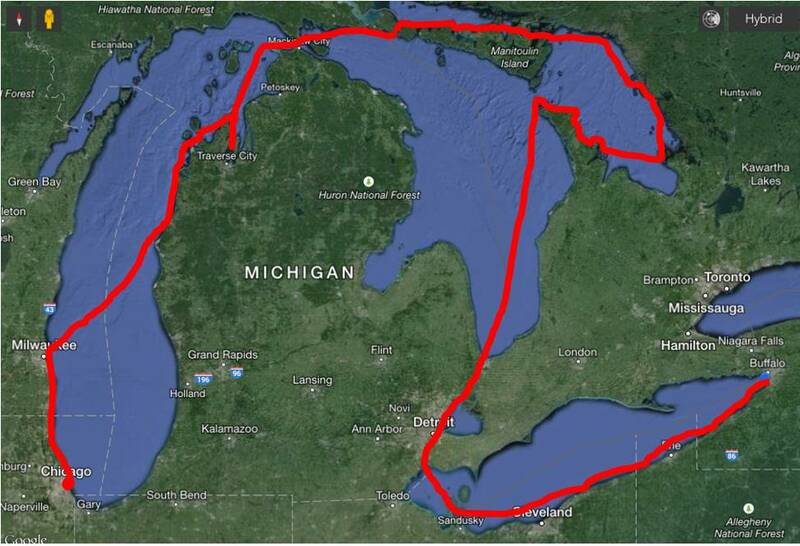 This section of the Great Loop takes us through a few of the Great Lakes – Lake Erie, Lake Huron, Georgian Bay and Lake Michigan. We plan to spend a few weeks in this region to enjoy a Canadian summer. With over 20% of the Earth’s fresh surface water it’s just like sailing on the ocean except you can drink it! Week 6 – We travel west from Buffalo, New York to Port Huron in Michigan experiencing the calm conditions of Lake Erie in summertime and up the Detroit River and Lake St Clair to Port Huron. Week 7 – Crossing from the U.S. to Canada, dodging squalls in Lake Huron only to be battered by a storm in Georgian Bay. Sailing at 45 degrees north in Blue Heeler. Week 8 – This week we relax! Well sort of. Cycling around Penetanguishene and surrounding area we enjoy Canada’s outdoors in summertime, but also get a few things done around Blue Heeler. Located at Georgian Bay also gives me the delightful opportunity to meet distant relatives; that aren’t actually so distant! 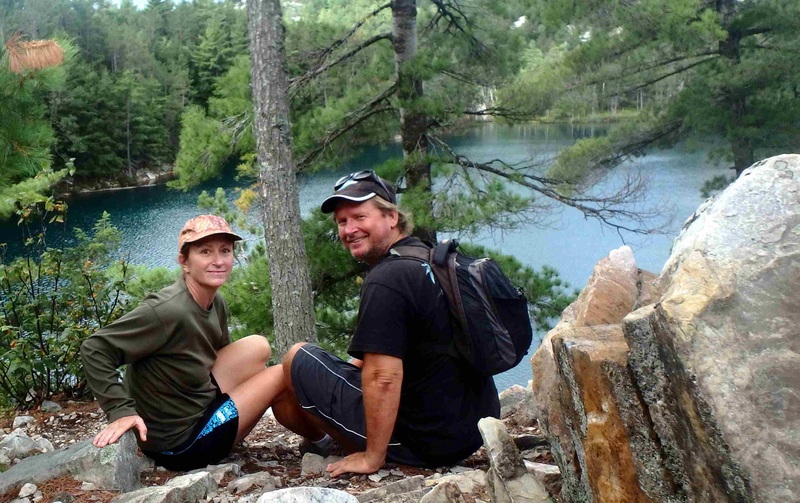 Week 9 – Summertime on Georgian Bay’s east coast, swimming, exploring, and popping in on a couple of locals! 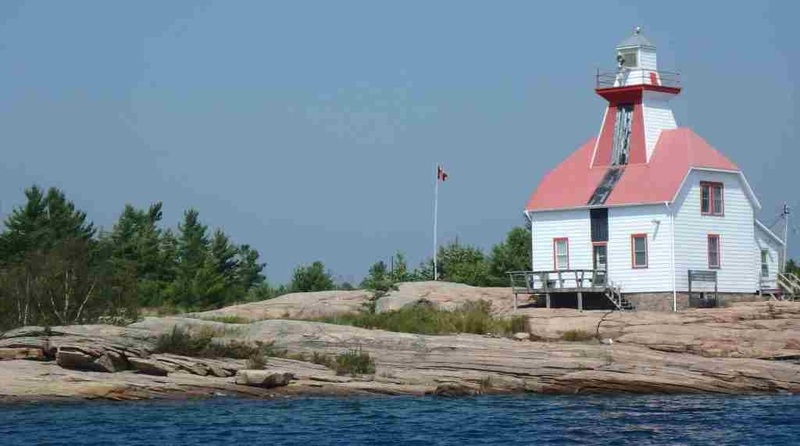 We explore the small boat channel through 30,000 islands. Week 10 – North Channel wilderness where wolves bay at the moon and tourists wolf down Fish’n’Chips. This really is a beautiful part of the world. 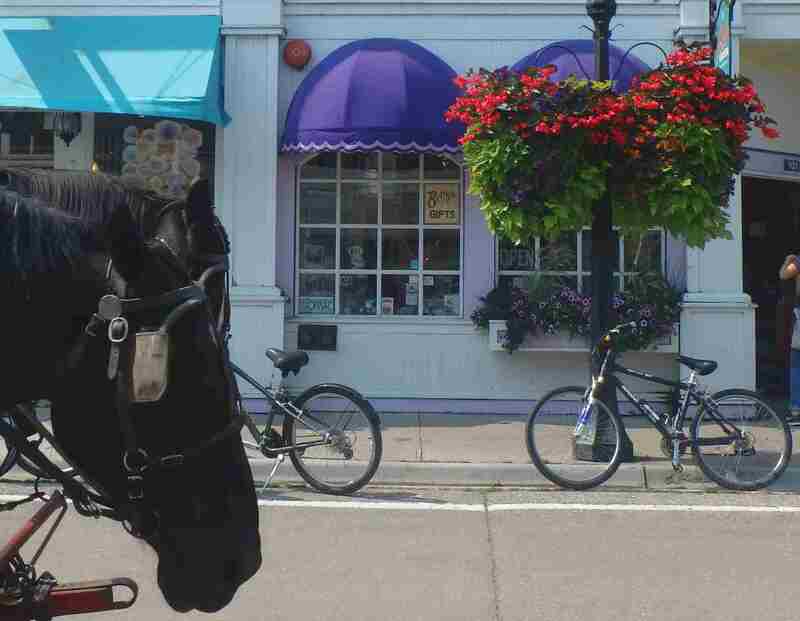 Week 11 – This week we’ve travelled from the U.S. Customs entry at Drummond Island through thick fog to historically interesting Mackinac Island then begin our southerly voyage down Lake Michigan. We catch up with sailors we first met in Thailand and experience some more generosity from locals in Northport. 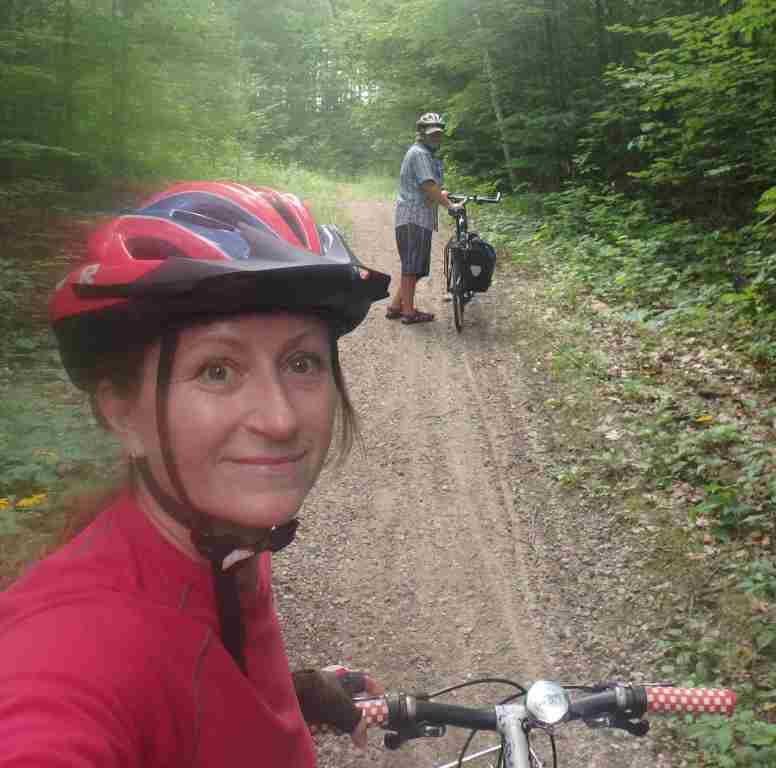 Week 12 – Our journey continues through the Great Lakes. This week summer winds down in Northport, while we spend a few days swimming in the cool waters of Sutton’s Bay. 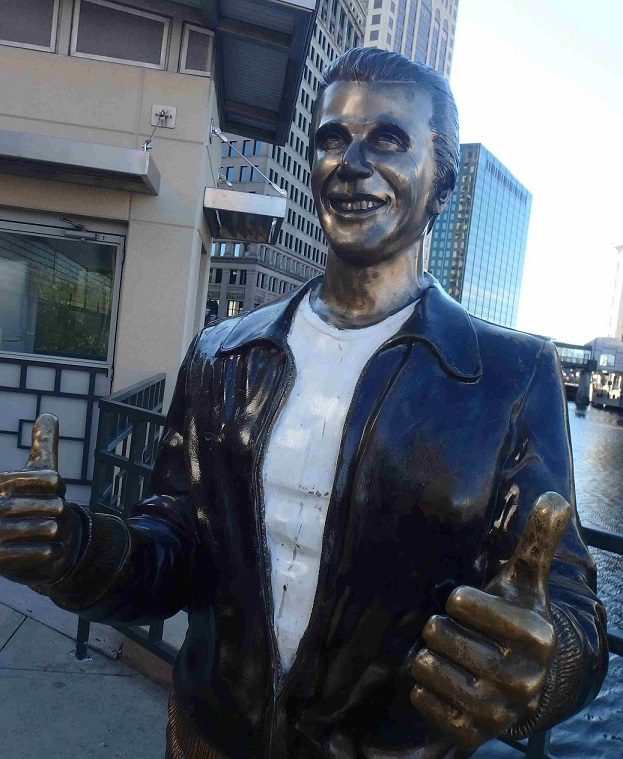 Further down the west coast of Lake Michigan we decide to overnight it across to Milwaukee for a couple of ‘happy days’. Week 13 – After an enjoyable couple of days at Milwaukee, we venture south to the end of our Great Lakes adventure – Chicago. Here we unstep the mast and get it ready for the next part of our Great Loop adventure. 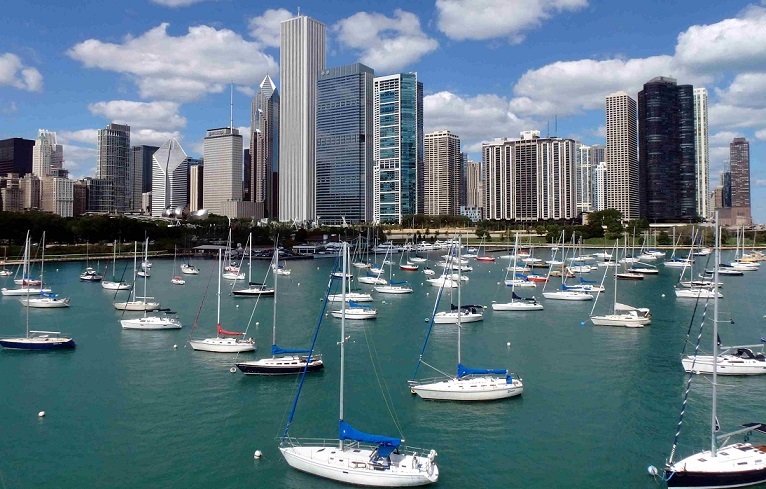 Continue to Part 3 – Chicago to the Gulf of Mexico through the Inland Waterways.